In the past three years, our department's research expenditures have more than doubled. With $14.1 million in research expenditures in 2017, the Fischell Department of Bioengineering ranks among the top in annual expenditures among Big Ten bioengineering programs, thanks in large part to our active research relationships with government agencies and industry. Our faculty and staff work in a broad array of research areas, some of which are directly supported by graduate programs. For information on our graduate technical divisions, view our Graduate Handbook. BIOE researchers are advancing techniques to use biologically derived materials to perform computational functions. BIOE biomolecular, cell, and tissue engineers work to find solutions to a wide variety of challenges impacting human health and quality of life. Their work touches on areas ranging from vaccine design and immunology, cancer theranostics, and pharmaceuticals, to the environment, energy, and food production. Using novel 3D printing techniques, BIOE tissue engineers are working to create cell-based constructs and biomaterial formulations for clinical applications toward the repair and regeneration of tissues. Bioengineers specializing in biomaterials use synthetic or natural materials to construct artificial organs and prostheses, or to replace bone or tissue. In working with biomaterials, engineers are able to manipulate immune cells, develop new techniques for drug delivery, and create complex tissue microstructures. With the latest advances in the field, biochips today serve essentially as miniaturized laboratories capable of performing thousands of simultaneous biochemical reactions. Biochips are highly valuable in human health research, as they can be utilized disease screening, diagnosis, and monitoring disease progression or treatment. Researchers working in this area are developing multi-scale, multi-modality optical imaging technology with applications such as early cancer detection, neuroimaging, and diagnosis of eye disease. They are also developing novel techniques to map properties – such as cell elasticity and stiffness – that are difficult or impossible to measure with traditional techniques. Even more, they are building their own instruments to further advance biological research. Drug delivery is the method or process of administering a pharmaceutical compound to achieve a therapeutic effect in humans or animals. BIOE researchers working in this area are developing new techniques to target therapeutics to hard-to-reach areas in the body – such as beyond the blood-brain barrier – and with the ability to minimize unintended side effects from treatments, such as for cancer or disease. 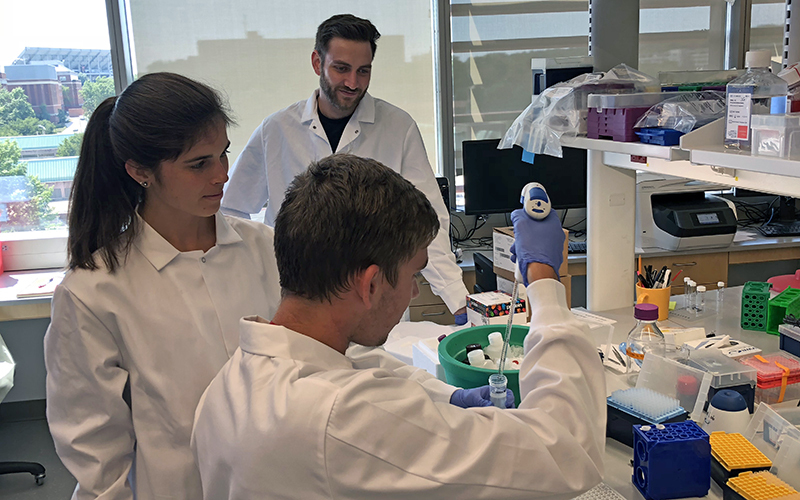 Bioengineers are working collaboratively across other disciplines of engineering to transform basic research into medical devices capable of advancing human health capabilities. The processes the underpin device creation require coordination, facilities, intellectual capital, resources, and the creative minds of those who have an intense desire to learn and succeed.